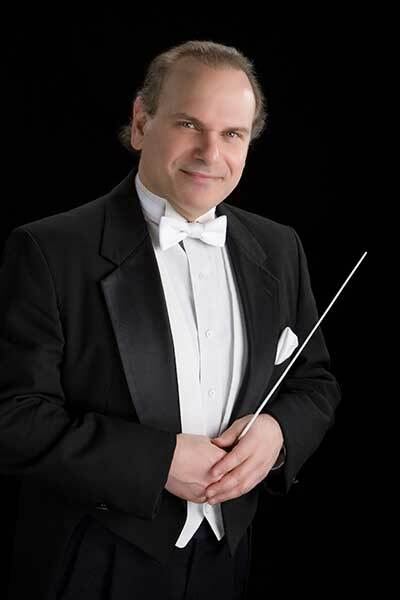 Robert Tomaro has been the Conductor and Music Director of the Beloit Janesville Symphony Orchestra since 1999. He holds a Master’s Degree and Ph.D. in Music Composition from New York University and a Bachelor of Science degree from Northwestern University. Robert Tomaro's engagements include concerts and recordings with The London Symphony Orchestra, The Slovak Radio Orchestra, The Silesian Philharmonic Orchestra of Poland, The Black Sea Philharmonic of Rumania, The Moravian Philharmonic Orchestra of the Czech Republic and many orchestras throughout the United States including the Rockford Symphony, the Dubuque Symphony, the Fort Wayne Philharmonic, the Lima Symphony, the Fairbanks Symphony and the Santa Cruz County Symphony Orchestra. He has toured throughout Scandinavia, England, France, and Eastern Europe. In 2003, he was honored to be chosen by Maestro Christoph Eschenbach for The Christoph Eschenbach International Masterclass with the Crakow Sinfonietta in Crakow, Poland. ​A prolific composer and arranger, he has just been nominated for a Grammy Award by the National Academy of Recording Arts and Sciences in the category of “Best Vocal and Instrumental” arrangement for the title composition of his new CD ‘Broken Angel’ with rock artist Susan Aquila. The CD has also been nominated for a Grammy as “Best Rock Album of the year”. He is an arts correspondent for the Rock River Times newspaper and the Classical Editor for Cashbox Magazine. Dr. Tomaro conducting the BJSO. A graduate of Northwestern University and New York University, he received a Masters Degree and a Ph. D. in composition while serving as Music Director of the New York University Symphony Orchestra. He subsequently served on the faculties of St. John’s University in New York, Rutgers University in New Jersey, and Beloit College in Beloit. Dr. Tomaro is a member of Kappa Delta Pi and Pi Kappa Lambda, the national honor societies in education and music education, a winner of the New Jersey Council on the Arts Fellowship Award for Symphonic Composition and a winner of the New York University Annual Graduate Student Composition Award. In 1991, he was appointed as an Honorary Member of the Board of Directors of the Association Nationale de Musique de Chambre in Paris, France. In 1996, he was honored by the Academy of Television Arts and Sciences for conducting the recording of the Emmy Award winning score for the Los Angeles Marathon. In addition to his symphonic conducting career, Dr. Tomaro is a composer, jazz guitarist and writer. He is a recording artist as both composer and conductor for MMC and Capstone Records. His recent CD with The London Symphony (MMC 2085) has just been released to excellent reviews. It features two of his own works as well as his vibrant interpretation of Copland’s Symphony No. 3. In addition to his symphonic compositions, Dr. Tomaro has composed extensively for film, theater, jazz ensemble, ballet and modern dance. He was recently appointed Editor of Classical Music for Cashbox Magazine, North America and Classical Music Editor and Chief Jazz Critic for Cashbox, U.S.
His articles on music and contemporary composers have been published in The Groves Dictionary of Music in London, The Journal of New Music Research in The Netherlands and several domestic periodicals including The Instrumentalist and Band and Orchestra Magazine. 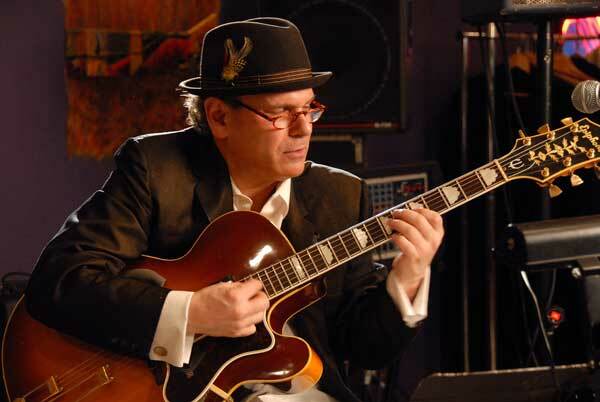 Dr. Tomaro is a student of legendary Jazz Guitarist and teacher Jack Cecchini. He has performed in concert with such jazz luminaries as Bill Evans, Charles Mingus And Stephane Grapelli. He has also performed in the original Broadway productions of many musicals, including The Lion King, Barnum, Les Miserables, Dancin’, Evita, Tommy, and I Love My Wife. Dr. Tomaro is not only a classical conductor but also a jazz guitarist.